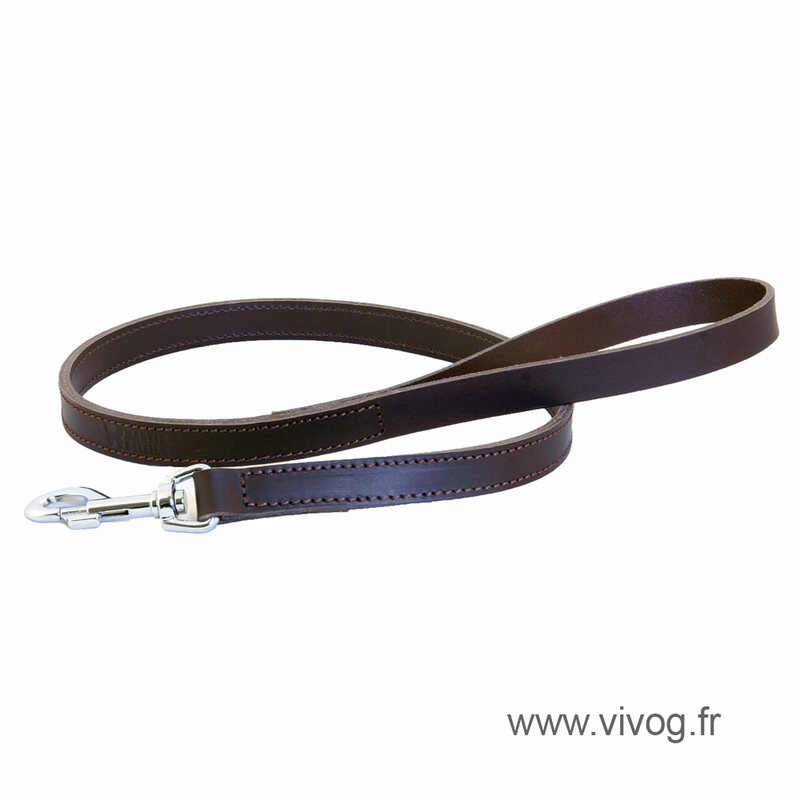 Brown leather lead for dog. Carabiner carbine. Assembling dive. Metal buckles. Double thickness of leather. Full grain leather. Made in France.